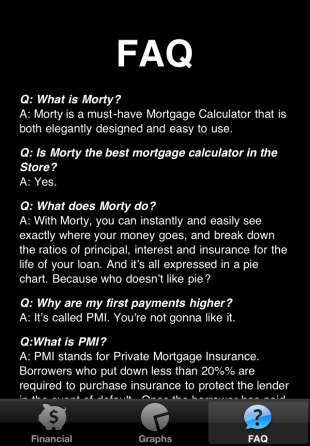 Introducing Morty Free, the free version of Morty, the best looking graphing mortgage calculator in the iTunes store. Go ahead. 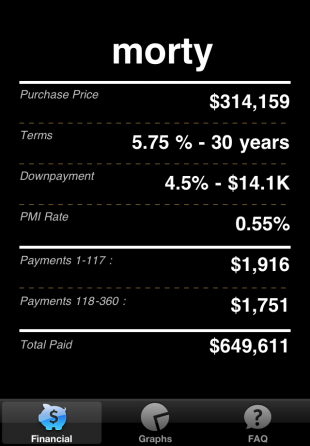 Browse other mortgage calculators – with their goofy sliders and hokie cartoon looks. They’re clumsy. They look like bank statements. And they’re the kind of app your dad would buy. You wouldn’t buy a crappy looking house would you? 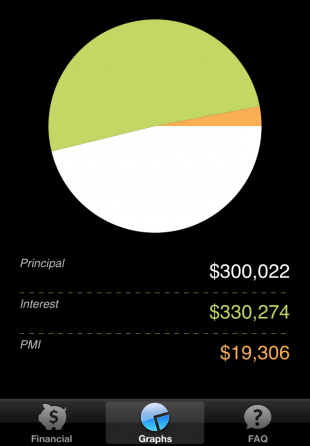 Why walk around with a crappy looking mortgage calculator? Look. Morty’s not tryin’ to hate. Just educate. 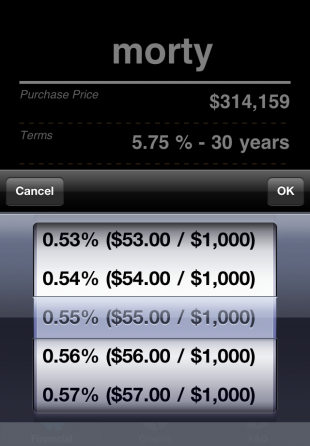 Morty looks the way an iPhone app should look. Sleek, sophisticated and smart. Not like something someone threw together with a little help from the people at Kinko’s. 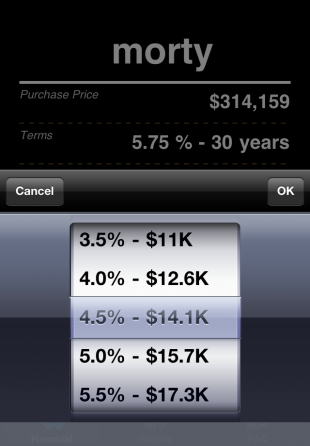 And its thoughtful navigation makes it among the most intuitive apps of its kind anywhere. 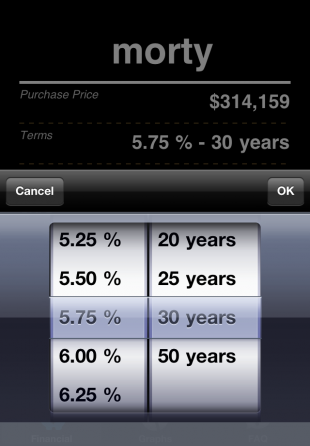 When you’re making important and sometimes instant decisions about a home loan, there is no better friend on your phone than Morty, the Mortgage Calculator that cares not only about your money, but how it looks expressed in dashing charts and graphs on your iPhone.